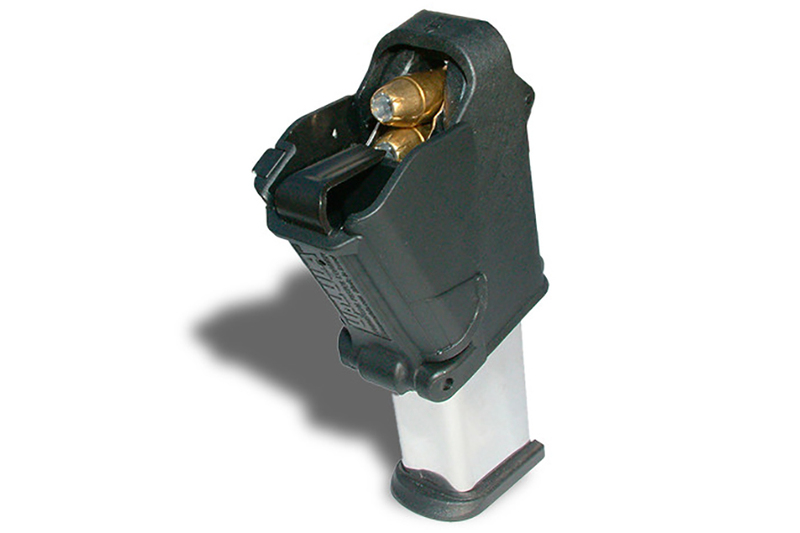 Lula Magazine Loader Universal For Pistol Magazines. 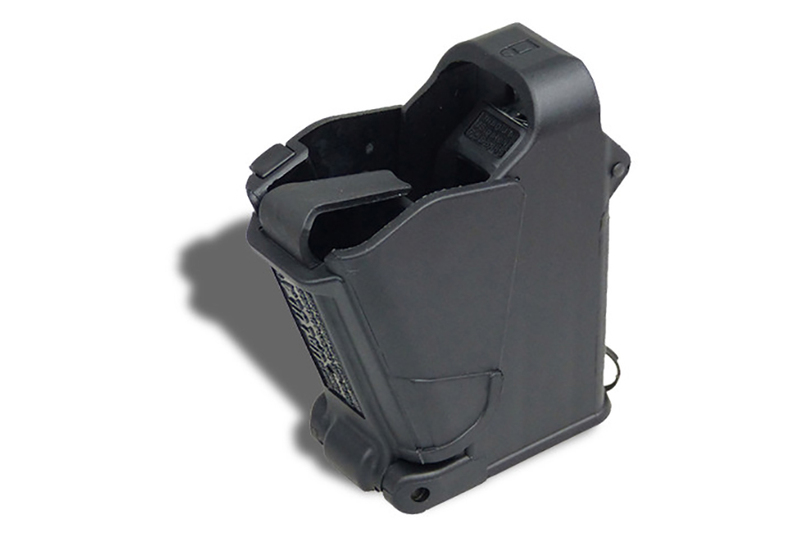 This is the famous LULA magazine loader for most pistol magazines. One size fits 9mm, 10mm, 40, 45, and sometimes smaller calibers such as 380 or 9x18. (does not work on mags narrower than 8mm between the lips, may not load the last round on a few types of mags.) Black composite, new in package. Easiest way to load AND unload your mags, eliminates thumb pain. Made it real easy and faster. This thing is great! Easy to use, fast loading and just plain makes your life easier, less time reloading more time shooting! Product is easy to use. Works great first time and every time. I had heard great things about the UpLula loader, and read reviews that said that these are a "must have" item, for your range bag. So I decided to give it a shot, and I have to agree! The UpLula IS a great item, especially for those hard to load CZ 82 magazines, I got to enjoy shooting my CZ, and didn't have to rub my fingers raw loading magazines! Works great and save's a lot of skin when you are loading several mags.